The Kansas City Royals head to Target Field on Monday to take on the Minnesota Twins. The Royals send Jason Vargas to the mound to face Phil Hughes of the Twins. The opening line for this matchup has Kansas City at +100 and Minnesota at -110. The over/under was set at 8.5. The Royals, with a 30-23 run line record, cover the spread 57% of the time. They also have a 23-25 over/under record. The Twins have a 30-24 over/under record and a 35-20 run line mark, which means they are covering the spread 64% of the time. The Royals head into this matchup with a 30-23 record, including 12-12 on the road. Jason Vargas has an earned run average of 4.79 and is 4-2 so far on the season while having a 1.43 WHIP. In his starts, the Royals are 5-2 over his 35.2 innings pitched this season while giving up 40 hits during those innings. The Royals are also 4-3 against the over/under in his starts. He is getting 4.4 runs from the team when he takes the mound. The bullpen's earned run average is currently 1.75 and they've given up 125 hits on the season. Opposing teams are hitting .192 against the Royals bullpen while walking 62 times and striking out 156 times. Kansas City is averaging 6.89 strikeouts per game while getting 7.91 hits per nine innings as a team. They rank 6th in baseball in team earned run average at 3.50. As a team, Kansas City is batting .271, good for 4th in the league while putting together a .275 average away from home. Ranked at 10th in the league in on-base percentage, the Royals sit at .321 and they hold a .407 team slugging percentage. Mike Moustakas leads the team in hits with 61 while the team ranks 5th in baseball with 9.23 hits per game. With a 19-9 home record, Minnesota will hope to improve on their 32-23 overall mark. Phil Hughes is starting this game 4-5 for the season with an earned run average of 4.96 and a WHIP of 1.35. In his starts, the Twins are 4-7 and he has allowed 86 hits over 69 innings pitched this season. The Twins are also 6-5 against the over/under in his starts. He is getting 3.6 runs from the team when he takes the mound. The bullpen's earned run average is currently at 3.74 and they have given up 173 hits on the season. Opposing teams are hitting .256 against the Twins bullpen while walking 51 times and striking out 114 times. Minnesota is averaging 5.84 strikeouts per game while getting 9.56 hits per nine innings as a team. They rank 17th in the league in team earned run average at 3.91. As a team, they are batting .252, good for 16th in the league while putting together a .285 average at Safeco Field. Ranked at 24th in the league in on-base percentage, the Twins sit at .303 and they hold a .382 team slugging percentage. 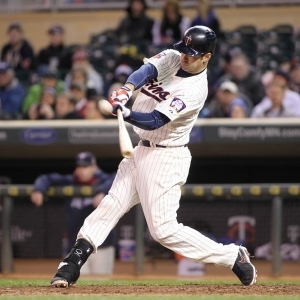 Brian Dozier leads the team in hits with 57 while the team ranks 17th in baseball with 8.49 hits a game. The Royals have committed 30 errors and have combined for 509 assists and 1,410 put outs leading to a .985 team fielding percentage. The Twins have committed 36 errors on the season with 582 assists and 1,471 put outs leading to a team fielding percentage of .983 on the year.